Calphalon Nonstick 10-Piece Bakeware Set Just $52.49! Down From $150! You are here: Home / Instagram / Calphalon Nonstick 10-Piece Bakeware Set Just $52.49! Down From $150! 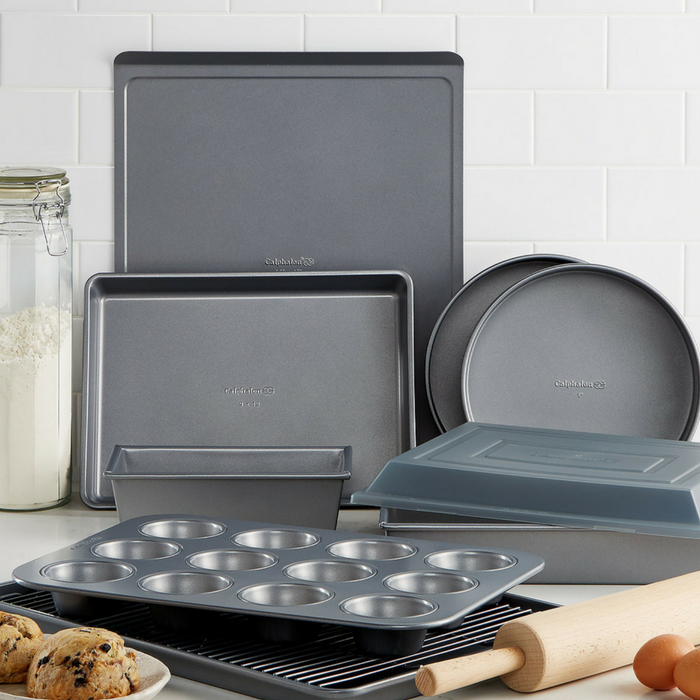 For a limited time, you can get this Calphalon Nonstick 10-Piece Bakeware Set at Macy’s for just $52.49 down from $149.99 PLUS FREE shipping for orders $99 and above! Everything you need to get your kitchen up & baking! This fully-stocked set features heavy-gauge steel cores that get hot fast & distribute heat evenly, plus interlocking nonstick layers that effortlessly release food for picture-perfect results. :Click here to check out more Great Deals!